Are you serious about blogger? Really serious? If so, you need to start your e-mail list. Now. Trust me. I don’t care if you only have 5 page views a day. I waited almost two years to start my list and wish I hadn’t wasted all that time (and potential subscribers!). 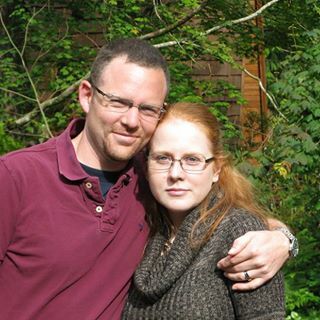 Of course, I also spent a year on Weebly before I finally got my own WordPress…I have a procrastination problem. (Plus I started this blog on a lark and was shocked at how popular it became). After you’ve decided to start an e-mail list, THE question then becomes “who should you use for e-mail?”. MailChimp is a big one that new bloggers go with…after all, it’s free. Up to a certain point. But the downsides are big (I’ll mention them below as I go through the features of ConvertKit). If you’re willing to invest in your business, ConvertKit is where to start. I use ConvertKit and have gone from less than 100 subscribers to over 6,000 (and counting!). In part due to their amazing forms, integrations, and features. In fact, I invested in ConvertKit back when I wasn’t making any money. I finally buckled down and decided to treat blogging like a business and not a hobby. I was in it…for real. 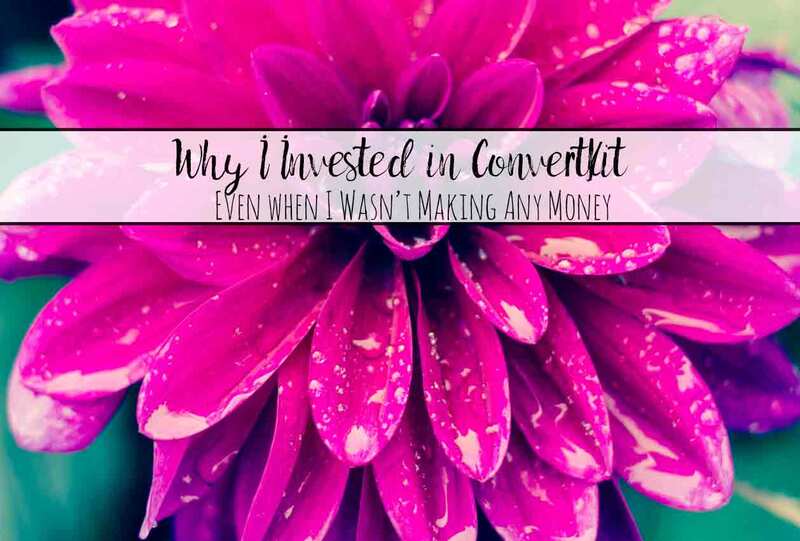 So why did I invest in ConvertKit? Even when I wasn’t making any money? Here are the reasons and features that got me to put my money on the line. And at the bottom, I’ll even tell you the bad parts of ConvertKit (yes, there are some minuses). It’s not for everyone. 1. It changed my mindset. Signing up for ConvertKit changed by mindset. Part of it was the commitment. Paying a monthly fee changed how I felt about things in my mind. It was no longer optional to make money, to get that post done, etc. I was investing in my business. I needed to make that money back! Finally investing something besides time changed my perspective. You don’t invest in hobbies. You invest in serious businesses. So I was getting a monthly little reminder that this was serious. 2. MailChimp wasn't working for me. I played around with MailChimp and was NOT happy with it. I like things stream-lined. Simple. Intuitive. And while I could make MailChimp work, I didn’t like the clunkiness of it. Plus, the more I read, the more I found out that big bloggers didn’t use MailChimp. I wondered why. I’m not going to jump ship just because someone else doesn’t like something. But it turns out that as a big blogger there are things you need to do (send sequences, sort subscribers, etc.). More research showed you CAN do some of these things with MailChimp. But they require all sorts of time-consuming workarounds. So my choice was my time or my money. I could use that time to continue to build my business. Or I could spend it trying to make a not-ideal email marketing service work the way I wanted. I chose to build my business. 3. I hate doing things half-ways. I was also facing a clear choice: I could continue to use MailChimp. It was free until I got a lot of subscribers. Then I would have to start paying anyways. And during that whole time, I wouldn’t be able to utilize some of the features that ConvertKit has. I knew I wasn’t staying with MailChimp forever. I really don’t like how clunky and complicated it is to do a lot of things. And once you get to a certain number of subscribers, the price is about the same. So when I finally did switch, I would have to re-do all the effort that went into creating sign-up forms, sequences for new subscribers, etc. Side note: MailChimp organizes your subscribers by the list they sign-up for…not by their name or e-mail. So if you have multiple opt-in freebies, and they sign up for multiple ones, you’re paying for that person multiple times. Or I could just do it. Right. From the beginning. This one feature is worth the money by itself. You have one subscriber list (unlike MailChimp in which you have multiple subscriber lists). They’re automatically segmented. For example: everyone who signed up for the free 2018 Planner is in one segment. The people who got the free Budgeting Binder have a different segment when they sign up. In addition, you can tag subscribers in any number of ways. For example, I usually include a blogging resource post in every other newsletter. I have it set up so that any subscriber who clicks on those links gets tagged “interested in blogging.” If I want to send those specific subscribers a round-up of blogging posts I’ve done, I can do it. No spamming people who have no interest in blogging. ConvertKit makes dealing with cold subscribers fantastic. You’re paying for subscribers. Which means you don’t want people who never open your e-mails or click on links on your list. Every 6 months or so, I clean out my cold subscribers. ConvertKit automatically tells me who is cold (that means 90 days without clicking on a link in any e-mail you send). I send out an e-mail to the cold subscribers (I included a screenshot below to show how easy it is to select them) letting them know if they don’t click on the link, I’ll delete them (I word it nicely…I don’t want to spam people who don’t want my e-mail!). If they click on the link, ConvertKit automatically moves them off the cold subscriber list. Three days later, I re-send it out to anyone who hasn’t opened it. Yes, ConvertKit allows me to do that with the click of a button. After a week, I go in to my cold subscriber list, select all, and hit delete. That’s it! To select just cold subscribers, send a newsletter like normal. But just use the drop-down menu to select "cold subscribers." That's it! Yes, you can do sequences with almost any email marketing service provider out there. But I really like the way ConvertKit works. Even finding how to start a sequence involved 7 clicks in MailChimp. 7 places I had to choose the right option in order to even start setting up a sequence. (And I had to use the help section to figure out how to navigate there). In ConvertKit, it took 2. I had to click on “Sequences” on the header menu. Then “Start a sequence.” Very, very complicated, I know (haha). My new subscribers get two different e-mails from me. The first includes their freebie and asks what kind of free printables they would like. I respond to 95% of them with either a link to one I’ve already done or telling them I’ve added it to my list (most of the time I’ve already done one). The second is the important one. It’s an introduction to my most popular posts, including free printables. Instead of just getting a regular newsletter out of the blue, they get a specially crafted e-mail with popular, free content. It’s a great introduction and makes it more likely they’ll open future emails. With ConvertKit, this process is simple to set up. Like I said, I just click “Start a sequence.” Then I add my desired number of e-mails, customizing each one of them. I included a screenshot to show how easy it is to navigate between the e-mails in a certain sequence. It's easy to flip between e-mails in a sequence, editing them as you need. When I first joined ConvertKit, MailChimp was NOT offering landing pages. They are now. So this was a reason for me when I joined. My first freebie I used ConvertKit to design the landing page. It was very helpful to do this since I had no idea what I was doing. Their templates are simple, but classic designs. LeadPages was being recommended by a lot of people (and is wonderful from what I hear). But I didn’t want to spend that much money on something solely to set up a landing page. Now I create my own landing pages on my website. They’re still not the most amazing in the world…but I’m getting better! Side note: I’ll probably upgrade and use Instapage or LeadPages (both of which integrate with ConvertKit) when my business gets really, really big. But that’s a couple of years in the future. 8. It's easy to use. It’s easy to use. I’ve mentioned this multiple times and highlighted it with screenshots. But it was a major reason I was willing to make the investment. Everything I had read promised it was intuitive and simple. And they were right. 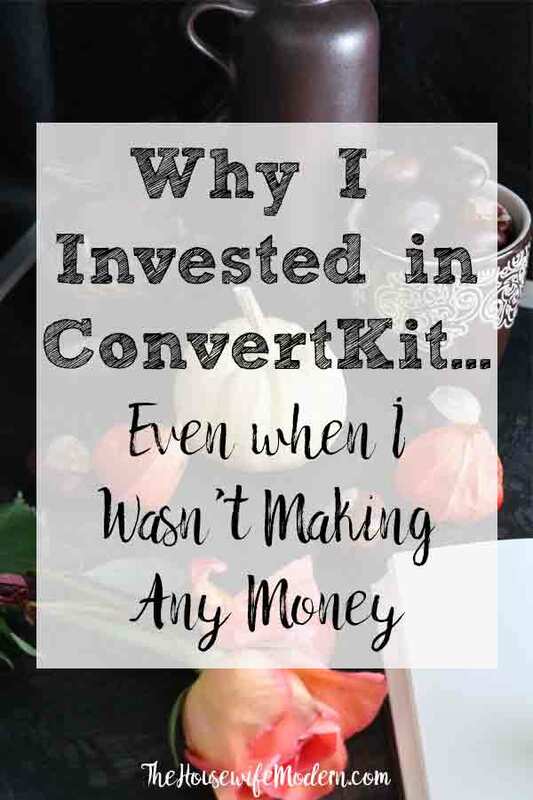 ConvertKit was one of the first investments I made in my business. (Lightroom and Photoshop by Adobe was probably the first, in case you were curious). So while I knew I wasn’t going to be using the variety of services related to selling products (such as LeadPages or SendOwl) right now, I knew I would be in the future. And ConvertKit integrates with them all (at least all that I’ve run across!). Easily. Now that I’m launching products and use SendOwl, I can tell you that the integration was as easy as I hoped it would be. I copied two key numbers under the setting menu. And they linked. Yep. It was that easy. There are a ton of features I haven’t even hit upon and won’t in this post (but will in a future post!). There are a couple of reasons. 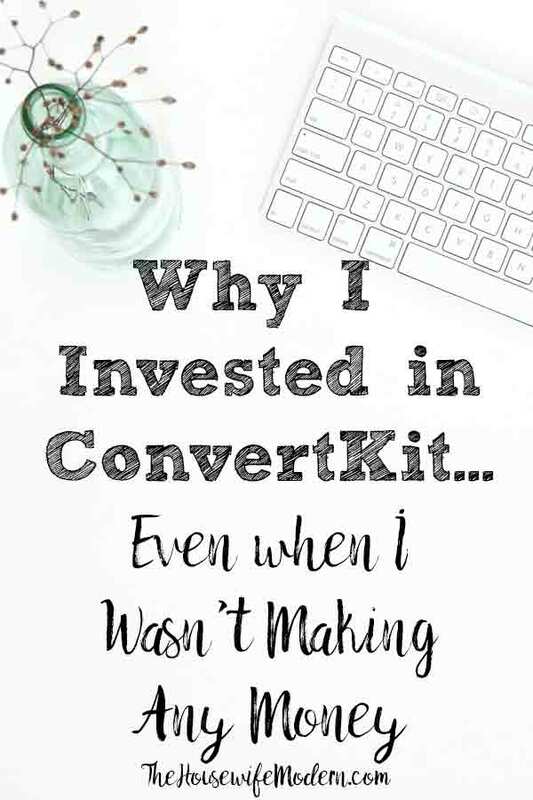 1) This post is about why I joined ConvertKit from the start. And I didn’t know about a lot of these features then. So they weren’t reasons I joined. 2) This post is aimed at bloggers trying to figure out what email service provider they want to use. It’s not a “features of ConvertKit” post! While ConvertKit is amazing, it isn’t for everyone. 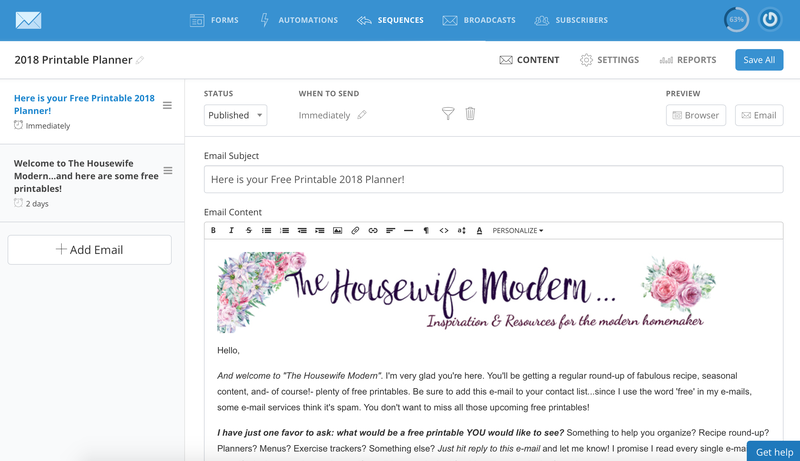 • You really like the ready-made templates for newsletters. ConvertKit isn’t for making fancy newsletters. Now, this is actually a good thing in a lot of people’s opinion. The stream-lined look comes across as more personal, giving you a better touch with your readers. Plus, the newsletter templates in MailChimp can end up in spam or the ‘promotions’ folder. But ConvertKit is simple. No fancy drag-and-drop to put together your newsletter. • If you’re not 100% invested in blogging. If you’re not sure if this is for you or not, then stick with a free e-mail service for now. • You have multiple, distinct audiences. And are running more than one blog out of your e-mail account. In this case, the list-based organization of MailChimp is superior.